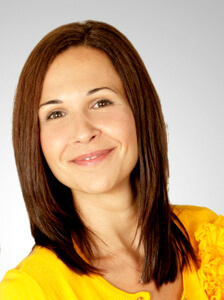 Home » test blog » SetSchedule Member Spotlight: Luba Muzichenko with Zephyr Real Estate from San Francisco, CA! SetSchedule Member Spotlight: Luba Muzichenko with Zephyr Real Estate from San Francisco, CA! Specializations: Buyers and sellers of residential and investment property. Areas Served: San Francisco and the San Francisco Peninsula. A: I worked with a mentor when I was in my teens who was a fictional novelist, but happened to be a Realtor as her primary gig. We talked a lot about writing (which was my dream when I was a teen), and I’d go with her to see houses and to meet new clients. It was then that I realized I needed a career that had lots of social interaction. I craved a career that allowed me to connect with people. So I took the plunge in 2006 and here I am, now. A: The open house was pretty full and a woman comes in, lays down in the middle of the bedroom floor (the property wasn’t staged) and yells out for everyone in the place to stay put and be quiet so that she can feel the vibrations of the house. Not sure whether it because of the vibrations or not, but she didn’t end up buying it. It wasn’t the strangest thing I had ever seen, but it wasn’t something you see everyday, that’s for sure. A: To this day, it’s the first time I gave a couple keys to their first home. The market was different then and from the day I got my real estate license, to the day we closed after making three offers, took just 28 days. The moment I gave them the keys reaffirmed that I had chosen the right career, because when they started crying happy tears, I cried along with them. A: I wish I knew how to manage my time better. I lost sight of the importance of work/life balance in the beginning. Now, I save some time to take care of myself, because if I can’t take care of myself, then how can I take care of my clients? A: Wow… that’s a doozy. I started at the end of the bubble, and the first two years were insane. And then the bubble burst in San Francisco. We didn’t see the losses some other parts of the country saw in the housing market, but we still felt a sting. Fast forward around 10 years, and now the market is, again, as crazy as it was then, if not crazier. The inventory just isn’t there to meet buyer demand. A: Paperwork. I’m good at it. But I hate it. It’s boring. There’s no way around it. And it takes A LOT of paperwork to close a real estate transaction. But I have a team that helps handle it, so I can go back to the fun part, which is helping my clients achieve their dreams. A: Mindreader, therapist, negotiator, project-manager and friend.